These handcrafted pickups, from legendary hardware manufacturer Seymour Duncan, provide you with the sound and appearance of a classic '50s humbucker. Included with this pickup are a front-tapered mounting ring and screws. The Antiquity Humbucker (Neck) was created to look and sound like a Seth E. Lover designed, well-worn, '50s humbucker. If you're looking for something that reacts like a 40-year played pickup, the nickel silver cover and poles on this humbucker have been aged themselves, all to give you an "experienced" tone. 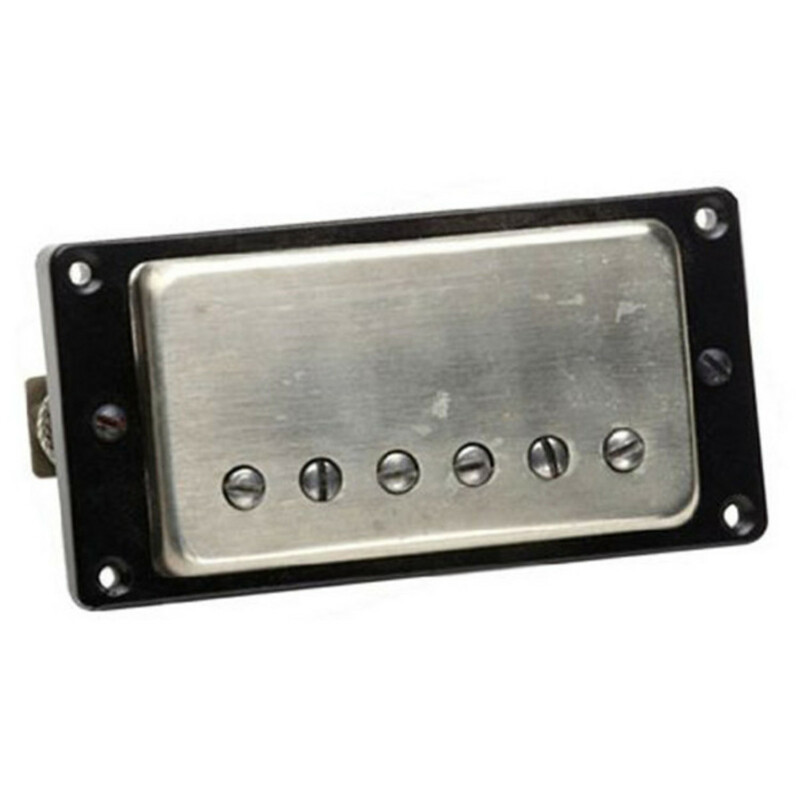 This Antiquity Humbucker comes with a front-tapered mounting ring and screws included. Because this pickup isn't wax potted, its vintage sound and look are kept. Antiquity Humbuckers are crafted by hand in Seymour Duncan's "Antiquity" room, with each pickup signed on the magnet and bottom plate, so you can be assured of genuine Seymour Duncan Antiquity quality.